According to the Pew Research Center, 68% of Americans are using Facebook, 74% check the site daily, and 51% say they are on the platform several times a day. Facebook is the most popular social media platform in the world. About 2.2 billion people are active Facebook users. If you’re a business owner, your brand should have a presence on Facebook. Eighty percent of 18- to 24-year-olds are on Facebook. Eighty percent of 25- to 29-year-olds are on Facebook. Older people are on Facebook too. Eighty percent of 30- to 49-year-olds are on Facebook. Fifty-five percent of the 50+ age group is on Facebook. Being on Facebook will increase your company’s exposure to potential customers. You can collect leads on Facebook. When a Facebook user likes your post or page, it means they approve it. It means they want their network to see it. The more likes you get on Facebook, the more exposure your business has on the platform. Some brands are buying Facebook likes in a bid to increase their exposure on the world’s biggest social media platform. However, what they should be doing is to increase organic Facebook reach. Is it a good practice to buy Facebook likes? What are the consequences? I don’t advise anyone to buy likes. Organic reach has become harder to achieve on Facebook over the past years. Marketers are turning to creative ways to get people to like their pages and posts. Normally, people liking your updates means more people will see it. But when you buy likes? It just makes exposure almost impossible. Where those fake likes are coming from don’t do anything on Facebook. They don’t browse and share posts as real humans do. You can’t expect anything to come out from those fake likes. It’s a waste of time. Engagement is an important part of any Facebook marketing strategy. If a strategy isn’t making people engage with your updates, then it’s not something you should be doing. One of my favorite strategies for marketing on Facebook is to post lots of photo updates. Photo posts receive 84% more link clicks than text and link posts. Imagine you’ve taken the time to create a photo post, only for you to spoil your chances of engagement by buying likes. You don’t want to post quality updates and fail because of your desperation to get the numbers up. Fake likes do no good. If a fake user who likes your page isn’t engaging with your post, it’s a sign to Facebook that you may be tricking their algorithms. Above, I mentioned that fake likes don’t lead to exposure because they are not real human beings. They can’t buy your product. But fake likes do more harm than that. They also lower your organic reach. Let’s say that 10 people liked your Facebook update. Half of that number are real, and the other half are fake. Even the real ones won’t have a much positive impact as they should have if you hadn’t bought fake likes. There are uncountable ways to spend money unwisely. Buying fake likes is one of them. Every potential customer is important to your brand. Instead of wasting money on something that won’t generate a positive result, you can spend on the real Facebook marketing strategy that works. For example, advertising on Facebook is still cheap. Facebook ads are also effective. You can reach thousands of users with less than $100. It’s no surprise that 92% of marketers advertise on Facebook. Instead of wasting money on a tactic that doesn’t work, why not advertise on Facebook? Likes that come from Facebook ads are from real people who are interested in your brand. Like many communities and social platforms online, Facebook finds and bans fake users. There’s no chance of explanation for anyone who claims to be someone they are not. Facebook has Guidelines and they expect every user to follow the rules. If you’re suspected of using fake accounts, you’ll be at risk of getting thrown out of Facebook. If your account is banned, you no longer have the reputation on Facebook, and maybe on the rest of the web. Consumers will find it difficult to believe you. That can be disastrous to your brand. When Facebook removes a user, most times, all their fake likes go with it. Facebook has thousands of employees who are constantly looking for fake accounts and deleting them immediately. Fake likes that are no longer valid is a blow to you if you have lots of them. For example, that means if you have a Facebook post with 500 likes and only 5 is real, you’ll be left with five. It hurts to see your post go from 500 likes to a mere 5 likes, right? During their existence, those fake 500 likes may have hurt your update’s chances of gaining more real likes. The Facebook algorithm is complex. A lot of factors go into it. Any intelligent digital marketer would expect that. Having lots of likes alone isn’t enough to rank high in the News Feed. You have to get other things right too. Users should be sharing your content’s link on Messenger. The post should have multiple replies. People should be spending time on it. There’s no way a fake account will spend time on your post on Facebook. When Facebook takes these factors into account, it’s easy for them to spot fake likes. And when they detect a content has too many fake likes, you can be sure that they won’t let their users see it again. That’s surely not what you want when you buy fake likes. It’s not so hard to spot fake updates on Facebook. When you see a Facebook post with thousands of likes and zero comment, that tells you something is wrong. The web is no longer new. Most web users now know how to spot fake everywhere online. There are lots of con artists out there. You don’t want users to think your brand is one of them because that would be extremely bad for your reputation. Engagements on your post should never be made to look real. They should be real. That means not trying to trick the Facebook algorithm. For example, it’s not hard to know that the below screenshot of a Facebook post by Buffer is real. It has received over two thousand likes and lots of comments on Facebook. Assuming the post in the screenshot above doesn’t have any comment, then there’s a reason to be worried about the legitimacy of the likes. If you have fake likes on your post, your Facebook insights data will be skewed. That means your data can’t be trusted because it’s not real. Your Facebook data is very important for making strategic marketing decisions on Facebook. You can’t do anything great with fake data that comes from fake users. I’m a big fan of Facebook ads. The option to retarget people on Facebook is my most favorite. You can use Facebook to deepen relationships with prospects who have visited your website. But when you buy likes, you not only make it difficult to retarget and build relationships with the prospect, it also becomes expensive for you to run ads on the Facebook platform. You’ll have a worse reputation in the minds of Facebook users, and it’ll be harder for them to like and follow you. So why invest in buying Facebook likes if it’ll only make it hard for you to advertise on Facebook? It just doesn’t make sense for your business. It’s not so hard to detect fake Facebook users when you come across their profiles. They have little to zero friends. And when they do have friends, most times, their friends are just like them. They have very few pictures. They have few or no posts on their accounts. They don’t really engage with other users on the platform. If you’re like me, you sometimes check the profile of a commenter on a Facebook post. When you discover that the commenter was fake, you won’t feel compelled to join the debate because you know that you’ll be responding to a bot. Too many fakes on your posts are something you should stay away from. Doing it will only hurt your reputation on the Facebook platform. A Facebook page that is constantly getting liked by fake users is not where you want to continue getting information. Perhaps, many pages receive some likes from bots. But a page that gets most of its likes from bots means it can’t be trusted. Buying Facebook likes will only make real people stop visiting your page. No one will ever want to give you their email address after learning that most of your likes are fake. It’s a sign that you won’t be using their email addresses well. They would be scared of getting spammed by you. That, of course, makes conversion harder and near impossible. It’s easy to buy some Facebook likes to boost your posts and hope that they get some traction on Facebook. Once you realize how wrong you are, you won’t be able to remove those fake likes. Those fake likes came from fake accounts. Sometimes, they may be thousands. Your money and time will be better spent on creating ads that draw people to your business. But those fake likes are forever going to be connected to your business. That means your reputation on the platform could be tarnished for a long time. There’s no way a fake account will click a link, subscribe to your email list and buy your product. Why buy fake likes if they won’t contribute to your bottom-line? Facebook pay attention to link clicks when measuring engagement. If a post is getting engagement in terms of link clicks, that post may become exposed to fans who have shown to like clicking links. Fake users are not real. Getting a like from a fake user won’t in any way translate into sales for your business. You need real people that will buy your products. You can get those people by creating more content on your site and promoting them on social media. A tool like GrowthFunnel will help you build a strong and loyal following on Facebook. Our tool lets you target visitors who have given you their email address and ask them to follow you on Facebook. You may have to provide an incentive to these visitors as a reward for following you. You can start using GrowthFunnel for free today. 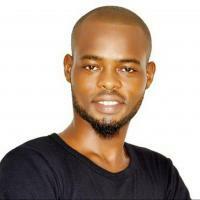 No Facebook likes seller will ever return your money because the service itself is shady. There are lots of them around. I won’t be mentioning those sites because I feel it doesn’t contribute positively to this article. Most Facebook fake likes sellers are hackers. They know what they are doing is illegal. Giving them your payment information is risky. It exposes you to lots of web vulnerabilities. This is not a risk that’s good for your business. You don’t want your business information falling into the wrong hands. 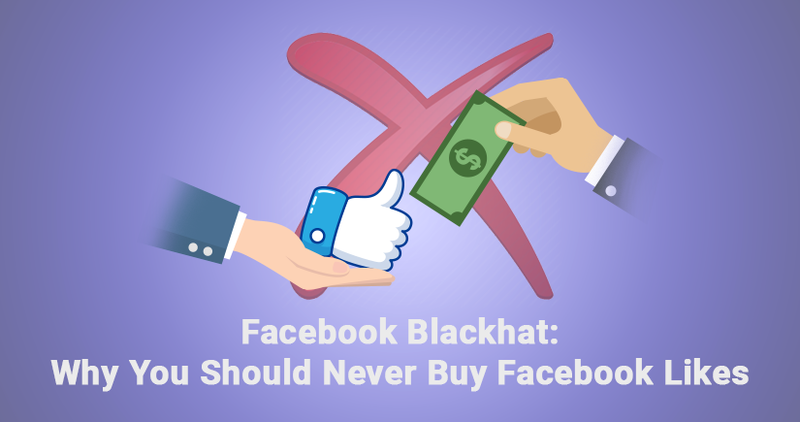 You may think it’s all over after dealing with a blackhat Facebook seller. The hacker may do more than you asked them. And most times, this can be a very bad experience for your business. For example, after dealing with a blackhat marketer that sells Facebook likes, they may want you to continue buying their services. When you stop, they may threaten to spam your Facebook page if you don’t send them money. Trust me, this kind of experience isn’t what you want. It’s simple, real Facebook users will avoid commenting, liking or sharing your updates because they know that your page has been polluted. Real users engage with real people. Not bots. Are you ready to get more likes on Facebook? OmniKick l is the ultimate tool you need to succeed on Facebook. With our tool, you’ll start collecting emails with ease. These are emails of people you can always reach out to when promoting your products or services.